First, Is Your Rifle Short Action (SA)? Short Actions are 2 digits (10, 12, etc.). Long Actions are 3 digits (110, 112, etc.). This stock is for Short Actions. Third, Do You Have a Bottom Bolt Release or Side Bolt Release? Our stocks are set up for side bolt release. We do have a simple adaptor service for guns with a bottom bolt release... Please call for details if you're interested. That's It! Order the SA Staggerfeed or SA Centerfeed Conversion Stock. 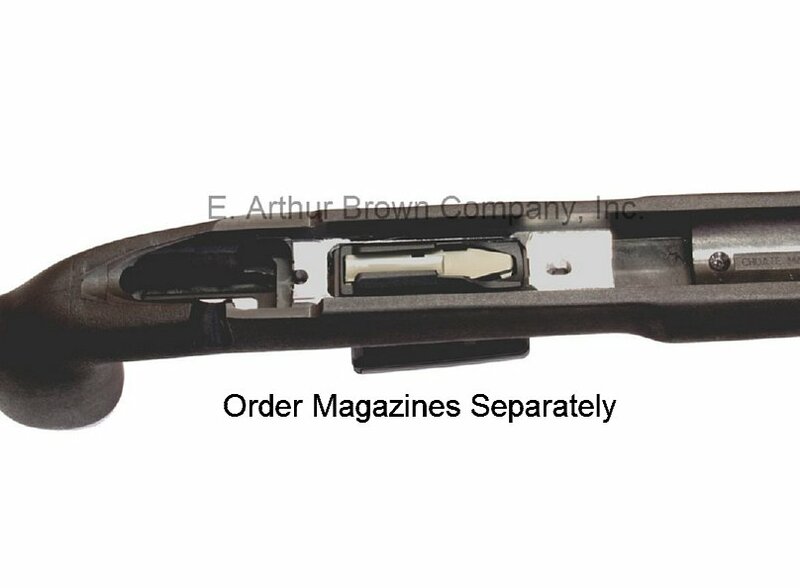 Magazine Compatibility: This conversion works with any Accuracy International (AICS) Short Action compatible magazines. This includes Magpul 549 amd 579 models and MDT AICS. I bought this stock to replace my Savage stock I bought for a bargain at Cabela’s. Loading 6.5 into the internal mag was a pain. So the stock was perfect. Ordered for a .223 Savage 12FV so short action center-feed. 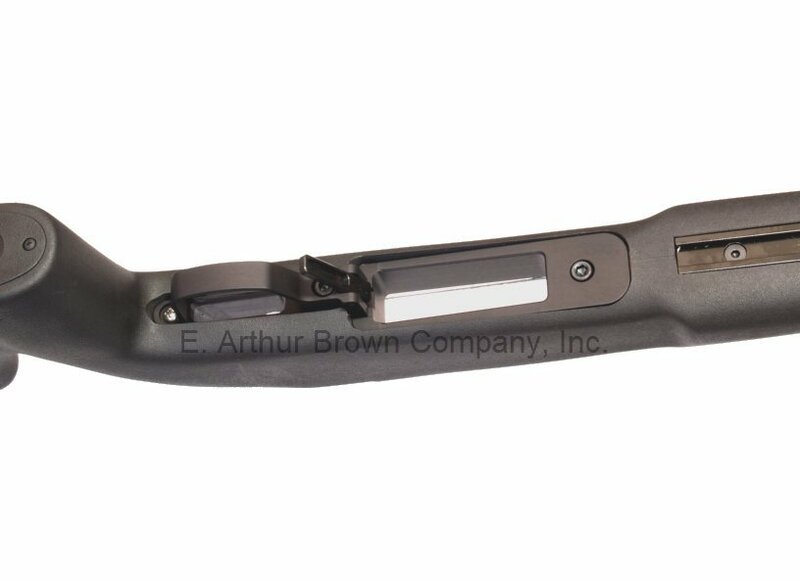 This is the Choate Tactical Stock inletted with and including CDI bottom metal. The conversion comes with new (longer) action screws. This was an absolute drop-in for my 12FV .223 action. I torqued the action screws to 65 inch-pounds per instructions. I am running MDT Tactical mags and while feeding isn't flawless, it is at least 90% accurate with the .223. About 1 out of 10 rounds will move upward and hit the top of the chamber, pushing the primer-end of the round deeper into the magazine. This clears quickly and again it is about 10% of the time. Overall SUPER happy with the Choate Tactical/CDI Bottom Metal conversion! Cdi and eabco have done an amazing job on these. This is the perfect high quality low cost solution for your precision rifle. Runs magpul aics mags like a champ. Very pleased. Good stock for the money. Coming w/CDI bm pre insralled is an awesome option & what made me choose this stock over the others i was considering.